Last Saturday at 8 p.m., the Grand Convention Center overflowed. Red, blue, green, white—name a T-shirt color, it was visible. Ilonggo, Tagalog, Cebuano, Chabakano—name a dialect, it was represented. Bowling, basketball, billiards, badminton, golf, tennis—name a sport, it was played. After 30 years of existence and three days of dripping sweat and pumped fists and friendly handshakes, the 30th PAL InterSports concluded last weekend. Sev Sarmenta stood as emcee and made us laugh. 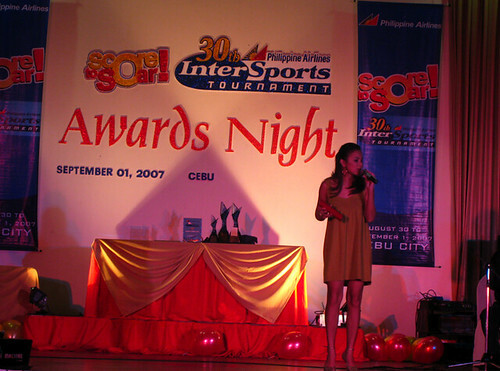 Bernadette Sembrano, his co-emcee, was pretty in her short, brown hair—and how she charmed the men. Sitti (above photo), the Bossa Nova singer who’s only 20, wore a leg-revealing dress and soothed everyone’s muscle pains with her voice. Philippine Airlines’ top honchos were all in attendance, led by president Jaime Bautista. 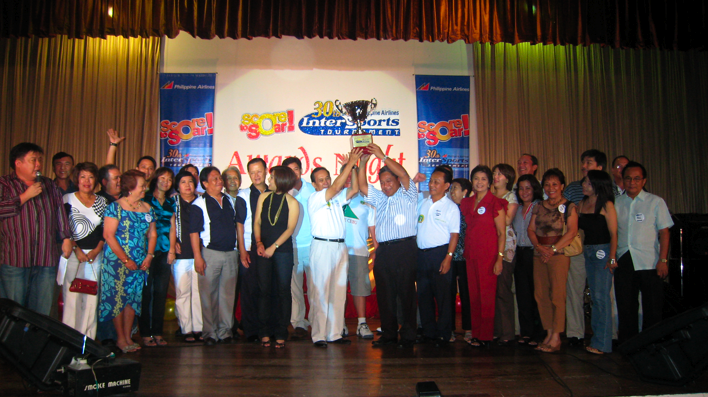 In all, this wasn’t only the biggest-ever PAL Intersports in history—but also the best-organized. To Los Jefes de Cebu, hail to the Chiefs!